William’s performing and filmmaking background goes back to age 15 growing up in Hawaii, where he started his first film company, Matterhorn/ELC films. Under that banner, he produced, directed, and starred in several feature length films and shorts, a few of which have been digitally re-mastered for distribution with Four Scorpio Films. William began Four Scorpio Productions with his lovely wife Pamela as a way to develop and produce their own material in Hollywood, putting control of the product in the hands of the artist. A black belt martial artist with over two decades of training, he’s used his skills in many different projects. 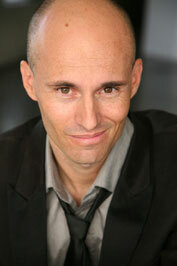 Check out William’s website at williamjosephhill.com, and see his IMDB page. 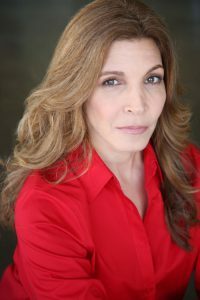 Pamela has been performing on stage & screen since childhood. A Native Cincinnatian, Pamela has quite an extensive background in acting, modeling and hand modeling. Having a father with a successful advertising career taught Pamela the tricks of the trade when it came to marketing and PR. Pamela has parlayed this into her acting career and the career of her husband William. She’s even managed to get their adorable kitty cat Clawde print jobs! Her mantra is “Go for the Stars”! Four Scorpio Productions is an Independent Media Production Studio specializing in narrative video and audio content, along with some edu-tainment projects. Check out our Season 1 trailer for our award-winning Web Series “That Darn Girlfriend”! Be sure to subscribe!